HBO Now has come a long way on app support since launching exclusively on Apple TV one year ago. The streaming service has now added its first console apps for Xbox 360 and Xbox One, along with support for new Samsung Smart TVs. Aside from being HBO Now’s first console releases, the Xbox 360 and Xbox One apps are noteworthy because Microsoft isn’t handling signups. To use the new apps, you’ll first have to sign up through the HBO Now app on iOS, Android, Roku, or Amazon Fire devices. (Verizon and Optimum Internet subscribers can also sign up on their respective websites.) Once you’ve subscribed, the login will work on any device with the HBO Now app—including Xbox One and Xbox 360—along with desktop web browsers. Owners of 2016 Samsung Smart TVs will be able to sign up directly through the television. HBO says the app is “coming soon” to 2015 models running Samsung’s Tizen operating system. Both the Xbox 360 and Xbox One apps support Kinect voice and motion controls, and the Xbox One app looks quite similar to HBO Now’s apps on some other modern streaming devices, including Fire TV and the fourth-generation Apple TV. The Xbox 360 app hews closer to the Metro-style interface used by the system software. 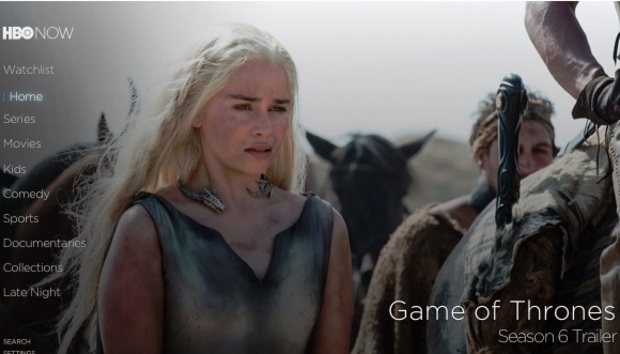 There’s still no word on whether HBO Now is headed to PlayStation consoles. For now, the network only offers its cable-authenticated HBO Go apps on PlayStation 3 and PlayStation 4. Why this matters: HBO Now already supports all of the major streaming TV platforms, including Android TV, Apple TV, Amazon Fire TV, Chromecast, and Roku. Game consoles and smart TVs would be the logical next steps. With HBO apparently deciding that it doesn’t need every platform to handle new signups, perhaps the pace of new device support will quicken from here on.